Local mobile operators’ claims that rising input costs are fuelling contract price hikes are not reflected in these companies’ financial statements, says a research body. Research ICT Africa has put together a research brief that asks whether post-paid price increases by South African operators are justifiable. Vodacom, MTN and Cell C have this year raised contract prices because of what they say are inflationary adjustments, cost pressures faced by increasing electricity tariffs, electricity substitution costs incurred owing to load shedding, the depreciation of the rand, rising hardware costs and network expansion. But Research ICT Africa’s analysis of publicly listed Vodacom and MTN found that these rising costs are not reflected in the companies’ financial results. For example, the research organisation says Vodacom’s capital expenditure per subscriber fell from R249 in 2012 to R218 in 2014. Meanwhile, MTN’s capital expenditure per subscriber slipped from R252 in 2012 to R203 in 2014. “They make these claims that they have to increase investment and if you look at capital expenditure per subscriber, which would measure investment… You’ll see that this has been on the decline over time since 2012,” Safia Khan, the author of the report, said. “And in order to maintain a good quality of service, investment per subscriber should be increasing. So, they claim that they’re facing these increases in investment costs and what have you, but if you look at their investment per subscriber, it’s actually been on the decline,” Khan said. She further said results from Vodacom and MTN indicate they are experiencing healthy profits. Khan said the average margins of a telecoms operator around the world are usually 20%. However, South African operators have much higher margins. “Vodacom and MTN both have margins of well above 30%. So they’re doing quite fine,” said Khan. The report highlights that Vodacom’s earnings before interest, taxes, depreciation and amortisation (Ebitda) margin was 36,8% in 2010 and 37,4% in 2014. Meanwhile, MTN’s Ebitda margin fell from 44% in 2010 to 32,1% in 2014. The research also indicates that Vodacom’s revenues grew from R50,4bn in 2010 to R61,8 in in 2014. This shows Vodacom’s revenue grew faster than its operating expenses, which expanded from R31,9bn in 2010 to R38,6bn in 2014. “And you can see that the financial growth for Vodacom has increased at a rate that’s faster than the growth in its expenses, which means that it’s operating at a profit and that profit isn’t in any way jeopardised,” Khan said. The report paints a similar picture for MTN, which had revenues of R41,4bn in 2012 and R38,9bn in 2014. MTN’s operating expenditure, meanwhile, was relatively static from R27,9bn in 2012 to R26,4bn in 2014 while its capital expenditure was R6,4bn in 2012 and R5,7bn in 2014, according to the researchers. “And if you look at the health of both MTN and Vodacom, which is measured by the Ebitda margin … you’ll see that both of them have healthy Ebitda margins and Ebitda margins measure the core operating profitability of a business,” said Khan. Reasons for the price hikes then could be attributed to other factors such as mobile termination rates (MTRs), Khan said. 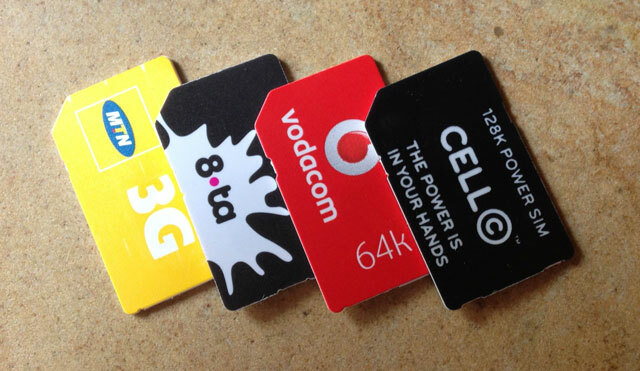 MTRs are the rates telecoms operators charge each other for terminating calls on their networks, and the Independent Communications Authority of South Africa (Icasa) has adjusted these rates to ensure that smaller operators such as Cell C and Telkom Mobile earn more from MTRs than bigger players Vodacom and MTN. Vodacom, for example, reported a R2bn hit on its service revenues owing to what the company said was the 50% cut in MTRs. “I think they’re trying to replace revenues lost because there was that whole mobile termination rates saga, and then Icasa won and MTRs have to go down,” Khan said. “The revenues they are generating from voice has been on the decline, globally. This is a global trend … and more and more people are taking up data and using things like WhatsApp and Skype and over-the-top services,” she said. The researchers further say that South Africa’s increasing contract prices go against global trends in the mobile phone market. The contract price hikes in South Africa have also complied with local laws because the companies stuck to a 20-day notice period in terms of notifying their customers. “The three biggest operators increased postpaid prices more or less at the same time because they can. If only one had increased prices then consumers could have switched at the next opportunity to one of the other operators,” reads the report.